Previously named the Brisky Fellowship, the Freedheim Graduate Student Fellowship is awarded annually to full-time graduate students in Psychology pursuing a PhD on a child-related topic that bridges research, practice and policy. It is renamed in honor of Dr. Donald K. Freedheim, Professor Emeritus of Psychology and Founding Director of the Schubert Center for Child Studies. Please contact Dr. Arin Connell (amc76@case.edu) for more information about applying for the fellowship. 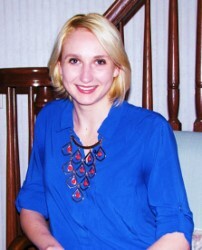 Laura Hlavaty, MA is a fifth year doctoral candidate in clinical psychology at CWRU with a specialization in children and families. Her research focuses on understanding cognitive, emotional, and social difficulties faced by youth diagnosed with ADHD. For her dissertation, she is examining developmental differences within children with ADHD who are referred for psychological evaluation in early childhood versus adolescence. This study also aims to identify how risk and protective factors contribute to differences in symptom severity, impairment, and diagnostic age of onset. In the future, Laura hopes to continue researching the implications of ADHD during transitional phases from childhood to adolescence, as well as continue her clinical work focused on providing assessment and intervention services to children and families. 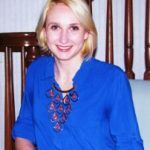 Olena Zyga, MA is a fourth year doctoral candidate in clinical psychology at CWRU with a specialization in children and families. Her research focuses on better understanding social cognitive aspects of both typical and atypical development, including factors such as pretend play, imagination, emotion regulation, and social interactions. For her dissertation, she is examining the relationship between social cognitive ability in preschoolers with autism spectrum disorder (ASD) and how these abilities relate to biological factors, such as oxytocin and cortisol, and parent-child interactions. She is also examining if a telehealth parent training intervention program for parents of preschoolers with ASD can then impact social cognitive skills and biological factors, such as hormone expression. In the future, Olena hopes to continue her research in an academic setting on developmental disabilities and informing intervention practices across this population. 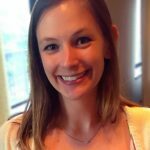 Jennifer Birnkrant, MA is a fifth year doctoral candidate in clinical psychology at CWRU with a specialization in children and families. 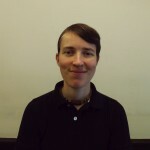 Her research focuses on risk factors and protective factors in the development of anxiety and depression in lesbian, gay, bisexual, queer and trans* (LGBTQ) youth. For her dissertation, Jenny is working to develop and validate a novel measure of parents’ and teachers’ attitudes toward trans* youth in the hopes that it results in improved research and intervention related to transphobia directed toward children and adolescents. In the future, Jenny hopes to work with and support gender diverse youth and their families. 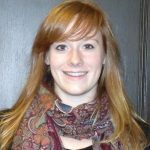 Hannah McKillop, MA is a doctoral candidate in clinical psychology at CWRU focusing on children and families. Her research interests center on the mechanisms by which children develop difficulties such as a depression, and the role that family factors may play in this process. This research has primarily been conducted with adolescents and depressed parents, investigating the relationship between affect, physiology, and parent-child interaction. Recently, this emphasis has expanded to include youth with chronic pain, and this is the focus of her dissertation. The goals of her dissertation research are twofold: (1) to examine whether subgroups or profiles exist within a pediatric chronic pain sample, and (2) to examine whether treatment response varies according to, or as a function of, subgroup. Hannah hopes to continue providing interventions for and conducting studies with children and families, particularly in the hospital setting. 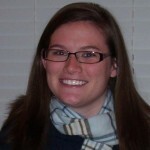 Kimberly Dunbeck Genuario, MA is a fifth-year clinical psychology graduate student specialized in children and families. Her research interests center on the interrelationships between family dynamics, internalizing symptoms, and wellbeing and adherence to medical regimen in children with chronic conditions. Her dissertation is investigating the relationships that exist between parent and adolescent beliefs about diabetes and adherence to medical regimen in adolescents with type 1 diabetes. Further, the study aims to understand what types of variables (i.e. depression, executive functioning, division of responsibility) interfere with adherence despite appropriate health beliefs. Claire Wallace is a doctoral candidate in clinical psychology at Case Western Reserve University with a focus on children and families. Her research emphasis has been on investigating the role of pretend play in child development with the goal to identify how pretend play can be used to improve treatment outcomes for children and families. The title of her dissertation is “Improving the Parent-Child Relationship in ADHD: A Pretend Play Intervention.” It is an intervention study focused on improving the parent-child relationship among young children with Attention-Deficit/Hyperactivity Disorder. Many parents of children with ADHD describe that they spend so much time managing their children’s behavior that they have little energy left for fostering a positive relationship with their child. The goal of her dissertation study is to use play to help parents develop a more positive relationship with their children through a mutually enjoyable activity. Moving forward, her goal is to discover more about the nature of the parent-child relationship, especially in the context of a stressor such as a medical illness. If play proves to be a useful tool in improving the parent-child relationship among children with ADHD, she would like to extend the intervention to children and parents in the hospital setting. 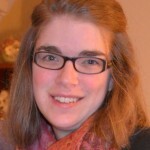 Emily Patton, MA is a doctoral candidate in child psychology at Case Western Reserve University. She is interested in how to understand, treat, and prevent mood disorders affecting children, with particular attention to family factors and parent-child relationships. For her dissertation, she is measuring how youth emotion is regulated via the brain, breathing, and heart rate pattern. She is then comparing differences across adolescents whose mothers have varying levels of depression and parenting styles. 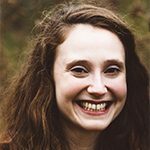 The aim of her study is to expand understanding of emotional processes in mental health and to improve assessments and interventions for adolescents and children in high-risk families. 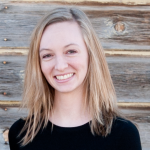 Emily hopes to continue teaching psychology, treating youth, and conducting research. Susan Klostermann, MA is a graduate student in clinical psychology at Case Western Reserve University.For her dissertation, she is working with the Chardon School District to examine the role that emotion regulation, coping strategies, and family functioning play in predicting response to a manualized, school-based treatment for posttraumatic stress disorder. Her project aims better understand the individual and family level factors that contribute not only to a child’s functioning in the wake of a traumatic event but also to treatment response, in order to design better prevention and treatment programs. Nicole Pucci, MA is a fifth-year graduate student in CWRU’s clinical psychology doctoral program, specializing in children. Her dissertation examines the efficacy brief cognitive behavioral skills group, compared to a peer support group, at reducing internalizing symptoms and increasing adolescent connectedness in behaviorally inhibited female adolescents. 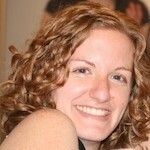 Julie Fiorelli is a fifth year student in CWRU’s clinical psychology doctoral program, specializing in children. For her dissertation she is exploring positive and negative mood in children’ daily life and in play. Fiorelli is specifically interested in examining how mood and affect expression are differentially related to areas of overall functioning, such as coping ability, humor, prosocial behavior, health complaints, anxiety and depression. 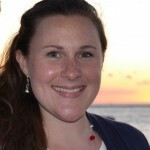 Abby Hughes-Scalise, MA, is a doctoral candidate in the clinical psychology program, with a focus on children. Hughes-Scalise received her MA from CWRU studying the relationships between adolescent depression symptoms, physiological mechanisms of emotion regulation and family interactions. Her doctoral study examines interactions between socio-emotional processing skills (including attention bias and emotion recognition), family emotion socialization processes, and eating disorder symptoms in adolescents with anorexia nervosa. She believes this study will better inform the conceptualization and treatment of adolescent anorexia nervosa. 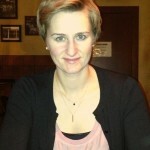 Maia Noeder is a doctoral student in the clinical psychology program. Noeder is interested in the challenges faced by children diagnosed with developmental disabilities. Her dissertation research aims to better understand the impact of parent-child play relationships on the development of children with disabilities by assessing the reliability, validity and diagnostic utility of three clinical parent-child play measures. 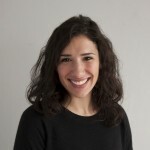 Leah Orchinik is a doctoral candidate the clinical psychology program. Her research interests include individual self-regulation and behavior and the factors, such as interpersonal dynamics, that affect such regulatory capacities. Orchinik’s dissertation focuses on emotional responses to laboratory tasks in 3-year-olds with low birth weight compared to normal birth weight children. Karla Fehr is a doctoral candidate in the clinical psychology program at Case. She received her BA in psychology and honors from the University of North Dakota. In 2010, Ms. Fehr received her MA and her master’s thesis, “Pretend Aggression in Play, Aggressive Behavior, and Parenting Style,” is currently under review for publication. Her career goals include working with children and their families in a hospital setting. She plans to continue her research on effective prevention and intervention methods for young children. Ms. Fehr’s dissertation examines the effectiveness of a developmentally appropriate adaptation of cognitive-behavioral therapy in 40 children (ages 4-6 years) with sleep difficulties. The intervention uses pretend play to teach coping skills and is the first empirical examination of the benefits of adding a child component to parent management of sleep problems in young children. The aim of the intervention is to decrease bedtime noncompliance and child distress and increase parental compliance. Ms. Fehr is hopeful that her studies will be fruitful in providing an evidence base for developmentally appropriate prevention or treatment approaches for young children. Jessica Dillion Hoffmann, MA is a doctoral candidate in clinical psychology, child and family track working with Dr. Sandra Russ. 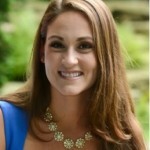 She received her BA in psychology and sociology from Brandeis University in Waltham, MA. In 2010, she received her MA studying the relationship between children’s fantasy play, creativity, and storytelling ability and emotion regulation. Her master’s thesis, “Pretend Play, Creativity and Emotion Regulation in Children” is currently in press with the journal Psychology of Aesthetics, Creativity and the Arts. In the future, Ms. Dillion Hoffmann hopes to conduct clinical work with children and families from under-served populations, and continue researching how children can use pretend play as a forum for building other adaptive skills. 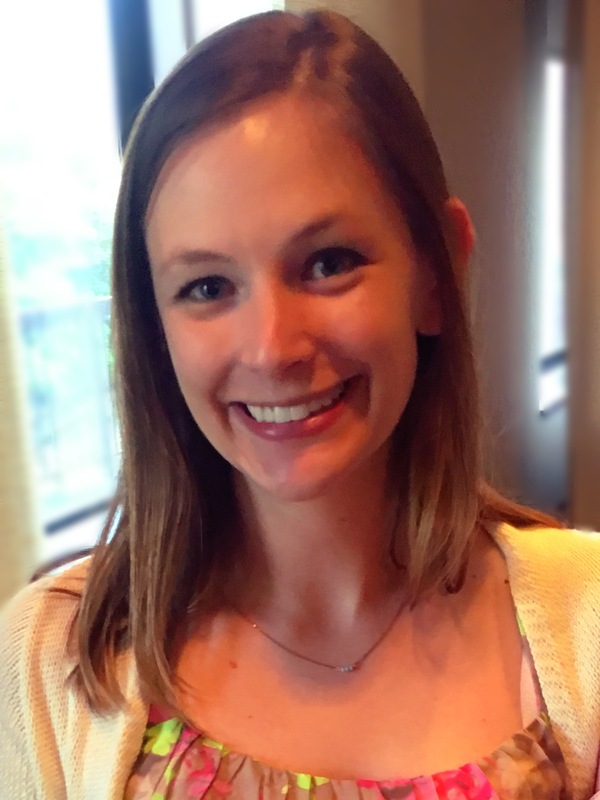 Ms. Dillion Hoffmann’s dissertation is titled, “A Pretend Play Group Intervention for Elementary School Girls”, the study will be conducted through the Center for Research on Girls at Laurel School. The study explores the effects of a 6-session pretend play intervention on students’ creativity, storytelling ability, emotion regulation, and overall well-being in school. For the intervention sessions, students will meet in groups of four to make up fantasy stories and act them out using dolls and other toys, led by Ms. Dillion Hoffmann and a teacher as co-facilitators. The intervention, titled “Creativity Club”, is meant to help children develop imagination, organization of storytelling and emotional expression, all qualities that have been shown to relate to positive affect and creative production in the past. If the intervention is successful, Creativity Club could be more widely used within schools as a preventative or low-level intervention to help elementary school students showing difficulty adjusting in school. Kelly Christian, MA received her BS in human development from Cornell University; she received her M.A. in 2008. Ms. Christian’s clinical and research interests include children’s coping with stress, risk and resilience factors affecting the development of child psychopathology, and developing interventions to help children strengthen their play abilities. Her dissertation, Playfulness, Adaptive Behaviors, and Early Play Abilities, will be one of the first studies to explore whether playfulness relates to aspects of temperament, coping, emotion expression, emotion regulation, and actual play processes. Ms. Christian hopes that this study will refine our understanding of the construct of playfulness and contribute to the meaning of playfulness throughout a child’s development. Further, this study is an important step toward increasing our understanding of the predictive role of early play processes in manifesting adaptive behaviors later in childhood. Ms. Christian’s future career goals include working in a clinical or medical setting where she can be involved in therapy, research, and teaching.